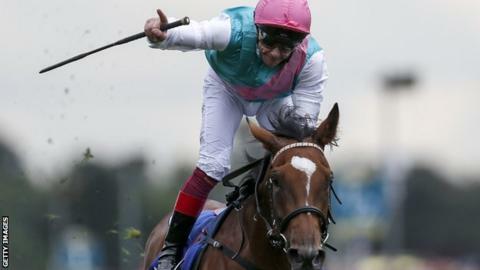 Under jockey Frankie Dettori, the filly was making her first start since winning the Prix de l'Arc de Triomphe last October. She is now expected to defend her Prix de l'Arc de Triomphe title on 7 October. Under Oisin Murphy, The Tin Man won by half a length from Brando and Gustav Klimt, with Harry Angel, one of racing's leading sprinters, finishing fourth.